When I speak of FLATIRON 1771, what may come into your mind is something "exclusive" and "expensive". Well, at least that was the case for me, until I recently got the opportunity to personally check the restaurant out. 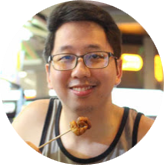 In this blog post, I will be sharing with you how my perception was gradually re-shaped throughout this dining experience. FLATIRON 1771 extends its comforting warm embrace for people who are caught up in the tiring cycle of day-to-day activities. With its cozy interior, the restaurant will surely make you feel at home. This makes it a good place to just sit back, enjoy some great conversation and share fantastic memories together. 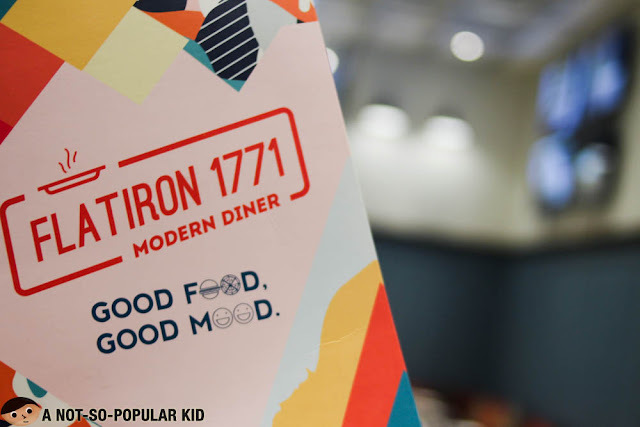 There are a great range of dishes you can order here in FLATIRON 1771 -- appetizers, soups, salads, pastas, sandwiches, pizza, meat, seafood, chicken and desserts. All of these can be enjoyed better with the awesome collection of beverages here in the restaurant. 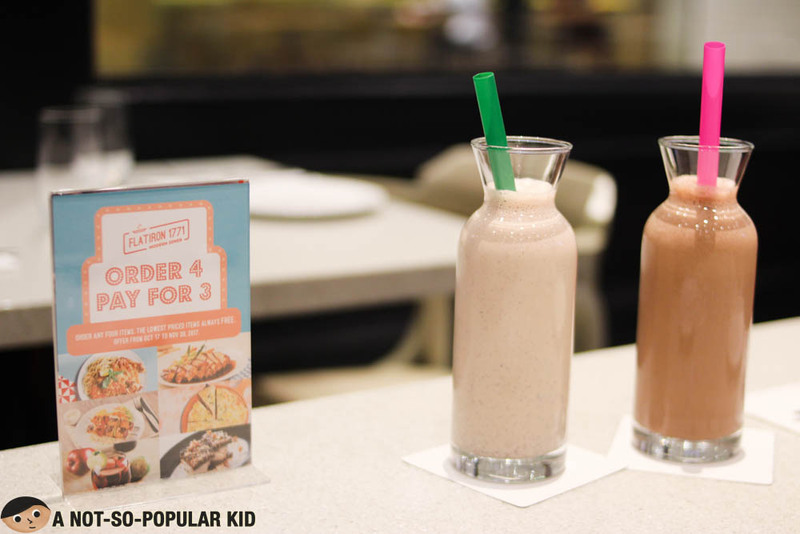 For the night, we were able to have these milkshakes (from P199 to P235). FLATIRON 1771 is further gearing up its menu with familiar classics but sprinkled with something new to add a layer of excitement. 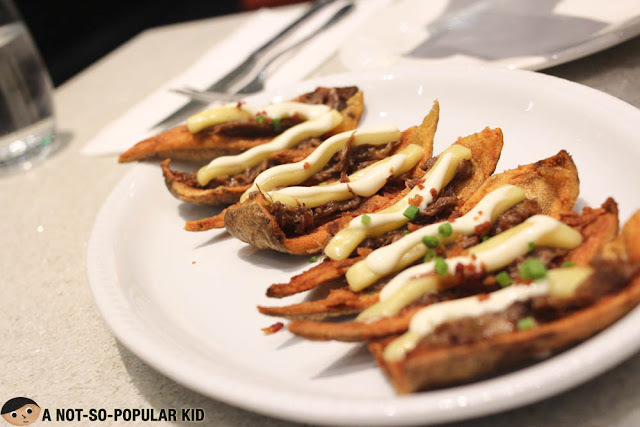 Such is true for the appetizers including this Bravo Potato Skin (P260) -- it's topped with pulled beef brisket, sour cream and cheese. 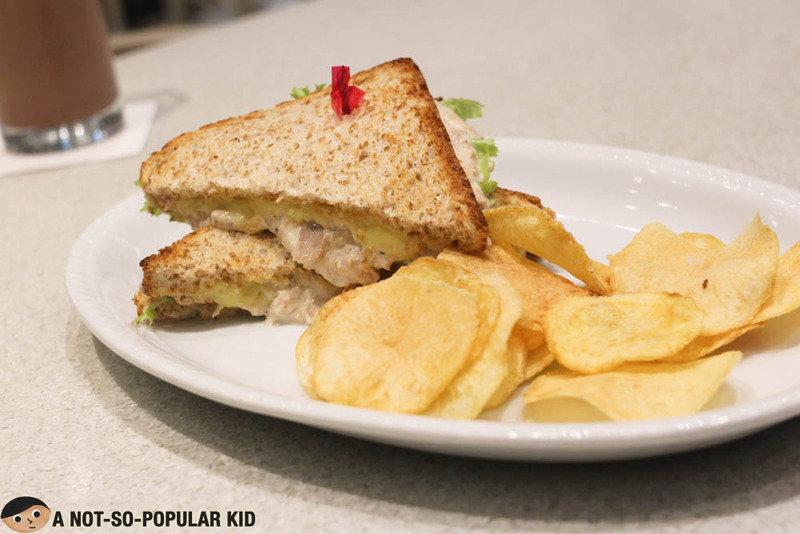 This Granny Tuna Melt (P195) felt indeed like something made with love by either your mom or grandma. It got this rich flavor from the cheese and pickles blended smoothly over the mayo and some apple chunks. 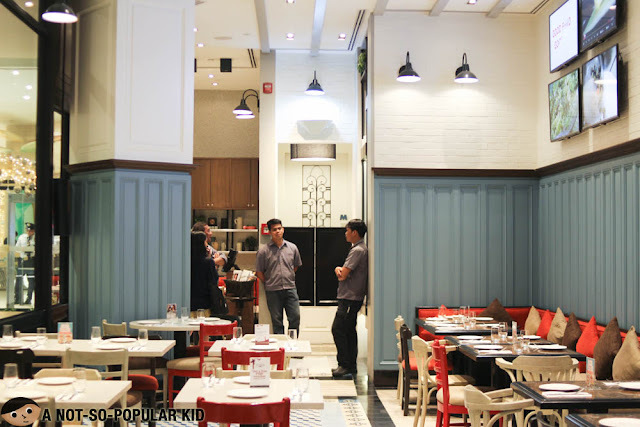 As proof that dishes here are not as expensive as you may think, the pastas here in FLATIRON 1771 have a price range of P295 to P370. 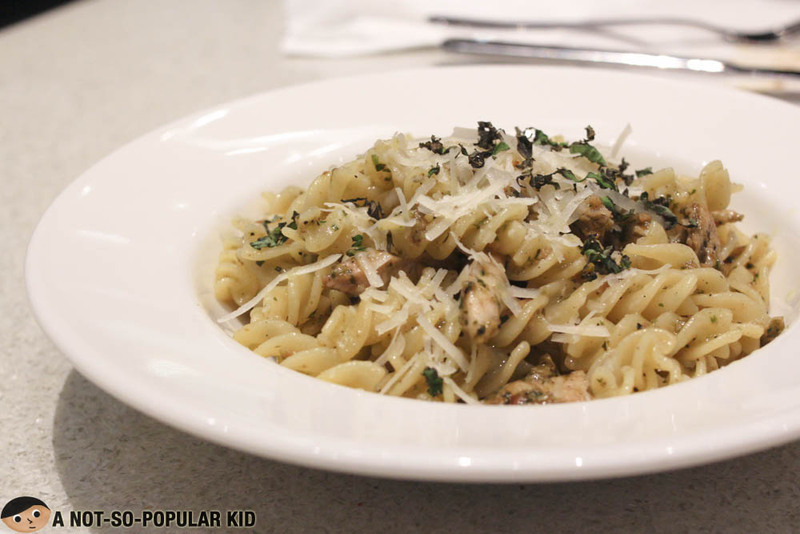 An example of which is this Chicken Fusilli Pesto (P295). 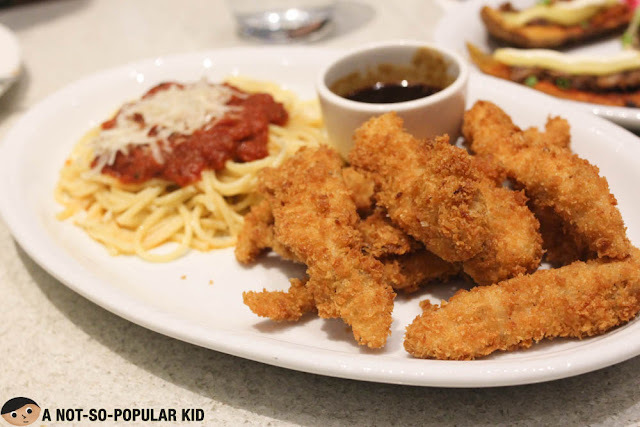 Classic favorites are available such as this Chicken Fingers (P300), and it was our personal favorite for the night! The fingers were truly tender which was a product of great frying technique. One bite melts in the mouth. On top of all, it comes with a side serving of spaghetti, which unleashed the kid in me. 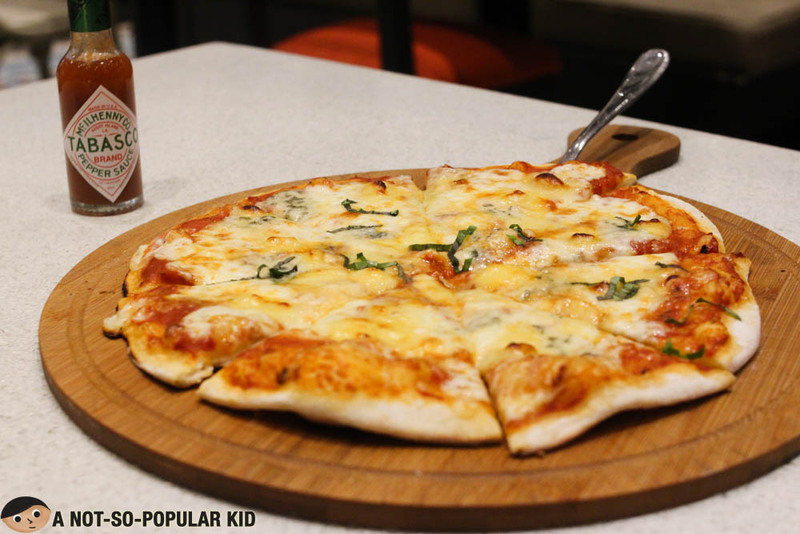 Another synonym of "comfort" is pizza, so you might as well want to munch on these as you chill with your friends. For the night, we were able to try the Four Cheese Pizza (P395). 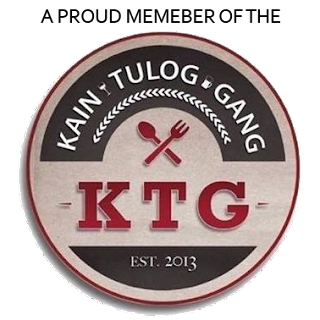 Cheese lovers will surely enjoy this one especially with the infusion of blue cheese. Oh also, go for white sauce, I think it will be more complementary. And yes, you have the freedom to choose. 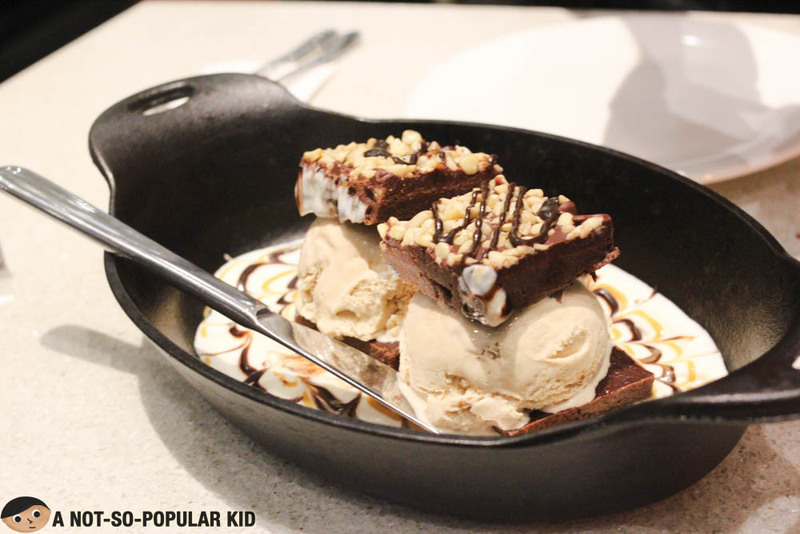 Of course, nothing gives us the ultimate comfort without the sweets, and this is something the Intense Brownie Burger (P560) promises. Admittedly, the price may somehow make you back off a bit, but you'll understand the reason behind as soon as you take a spoonful. It's definitely INTENSE! 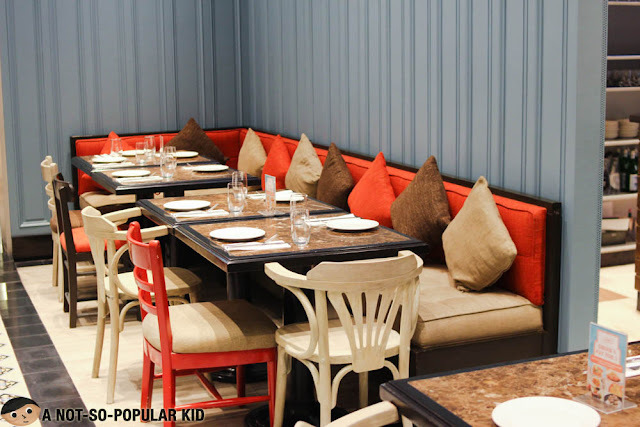 Flavors are oozing and multitude of reinforcing textures will surely give you that foodgasm. A definite must-try! It was surely a perfect way to end our dining experience as it didn't fail to put me in a good mood! FLATIRON 1771 serves as a home for all who are searching sanctuary away from stress of day-to-day routine. The interior allows you to be at ease with your friends or special someone. Prices are also within a reasonable range. Dishes have this sense of comforting familiarity but made more interesting with a handful of tweaks. At the end of the day, you'll find yourself in a good mood with the good food!